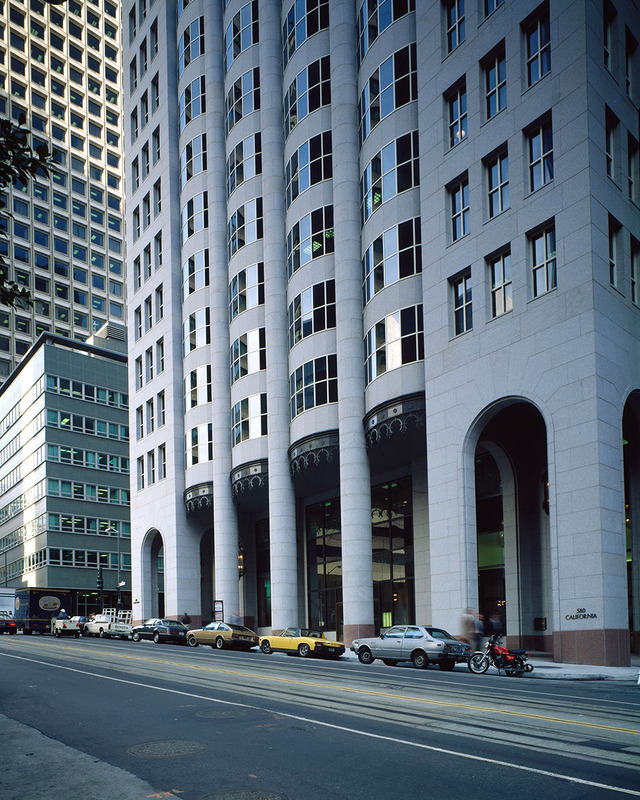 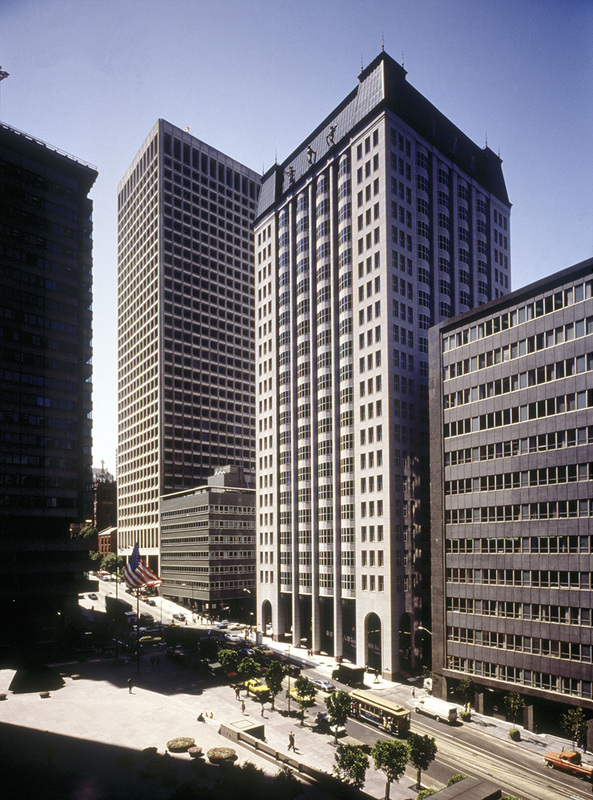 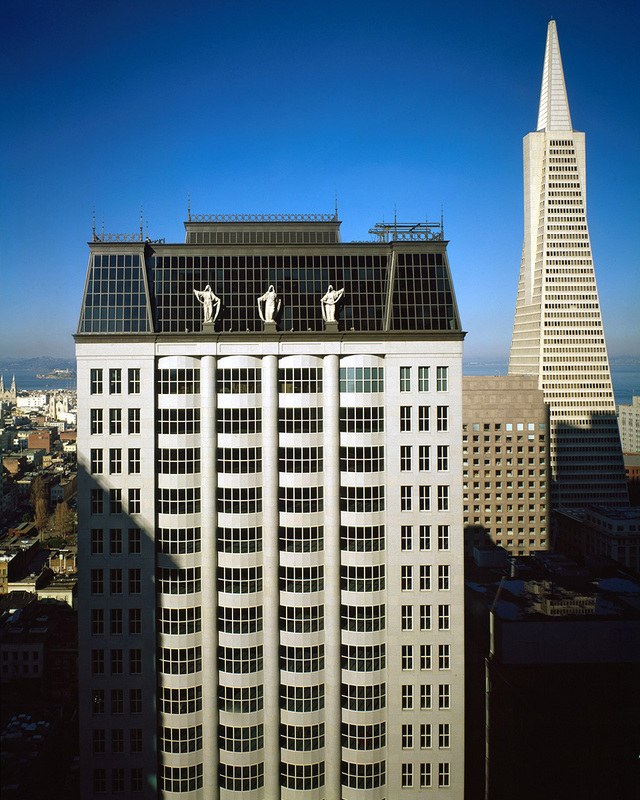 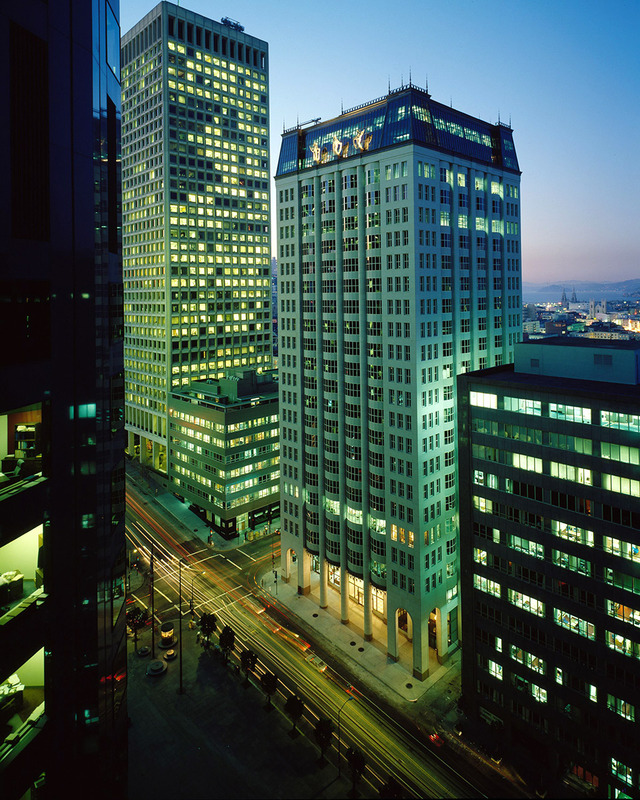 Kendall/Heaton Associates’ second project in San Francisco with the firm of Philip Johnson and John Burgee Architects, 580 California is in the postmodern style. 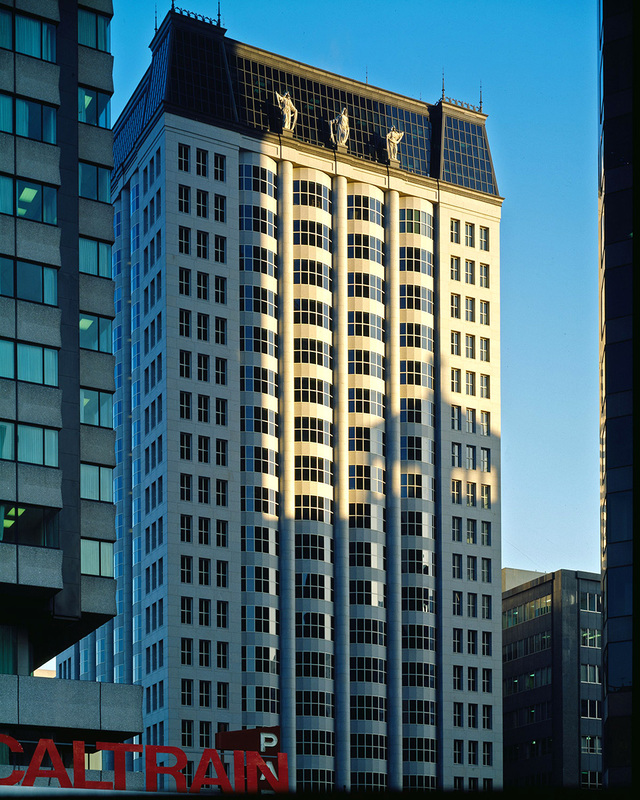 The shaft of this bilaterally symmetrical tower consists of a vertical expression of alternating bow windows and half-round columns bookended by solid granite corners with recessed windows. 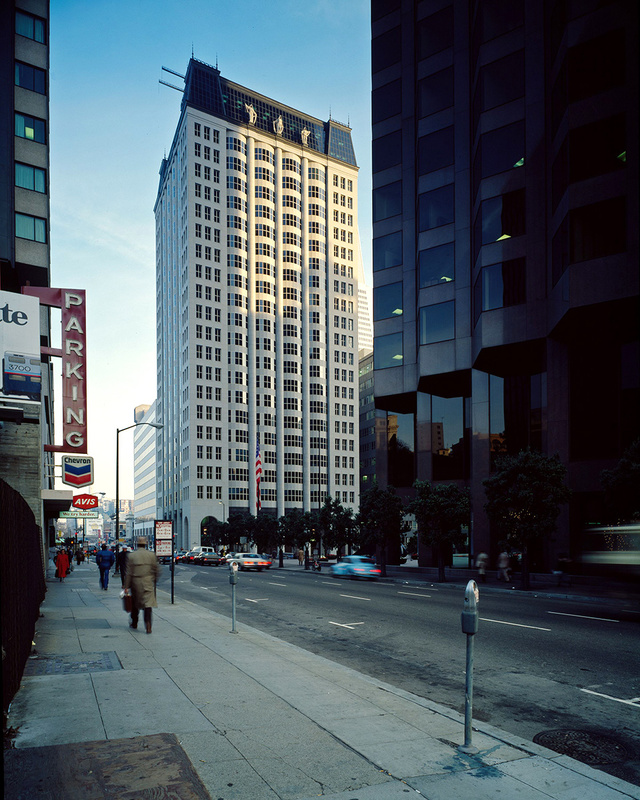 The building meets the street with a two-story granite arcade, and is crowned with a glass and metal Mansard roof. 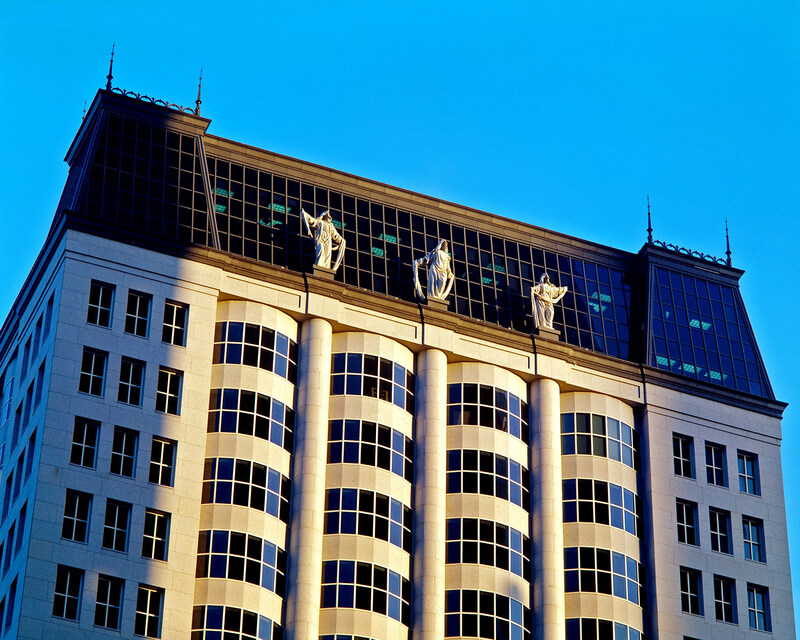 Twelve shrouded, faceless statues by the artist Muriel Castanis, carefully spaced along the top of the building, are silhouetted against the dark glass of the Mansard roof.